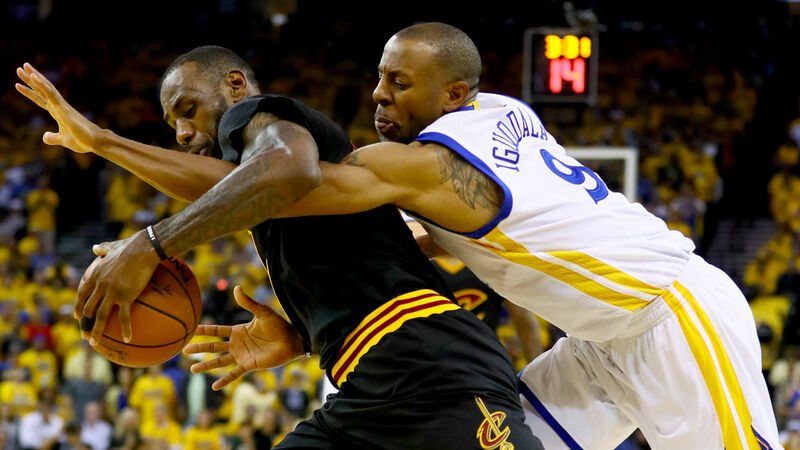 The Golden State Warriors defeats The Cleveland Cavaliers, 129-120 and grabs their 2nd Championship in 3 years. It was rugged match from the beginning a back and forth scoring for both teams. Early in the game both teams struggled with fouls. 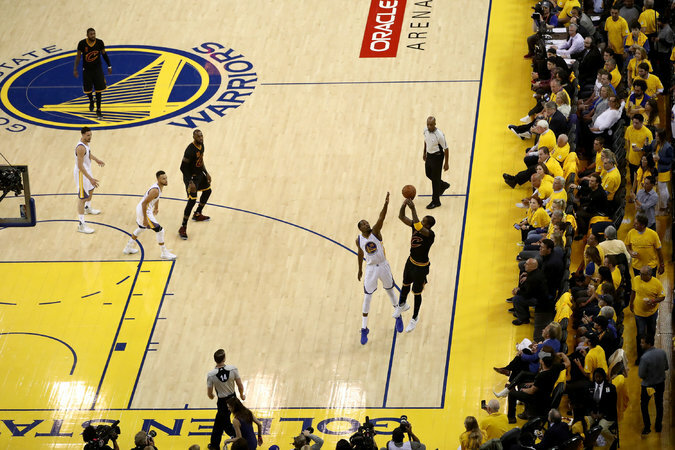 Kevin Love had his 2 fouls early in the start of the 1st Quarter but LeBron James led his team and never backed down from the Golden State Warriors. 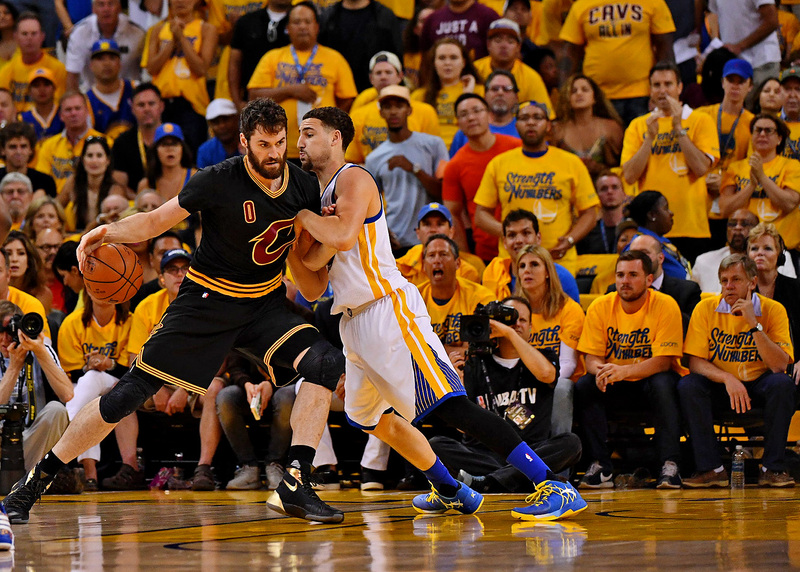 Kevin Love was off from tonight’s game. He ended up with only 6 points, but he made a huge difference by grabbing up 10 rebounds. The Cleveland Cavaliers led at the end of the 1st quarter 37-33. In the 2nd Quarter the Warriors answered back with fire. The bench player led by Andre Iguodala who finished with 20 big points off the bench. 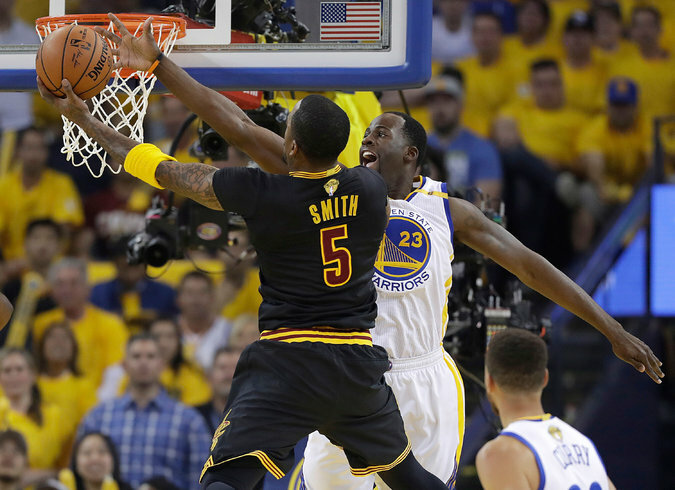 At the end of the 1st half the Warriors grabbed an 11 point lead entering the 2nd half. Jr Smith was on a lockdown at the 3 point stripe in the 3rd quarter. The Cavaliers cuts the deficit by 5 (98-93) at the end of the 3rd Quarter. Jr Smith Ended up with 25 points, shooting 9-11 (FGM-A) from the field and draining 7-8 (3PM-A) 3 pointers. The 4th Quarter was a rubber match back and forth shooting with LeBron and KD going at it. 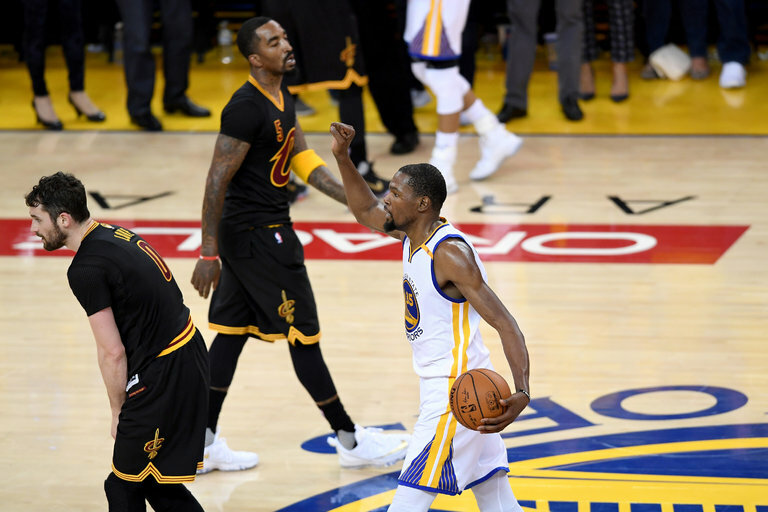 Mr. 4th Quarter Kevin Durant provided a huge spark to closeout and seal the deal. Kevin Durant ended up with 39 points, 7 rebounds, and 5 assists. LeBron James who scored a lot of the Cavs points in the 4th ended up with 41 points, 13 rebounds, and 8 assists. 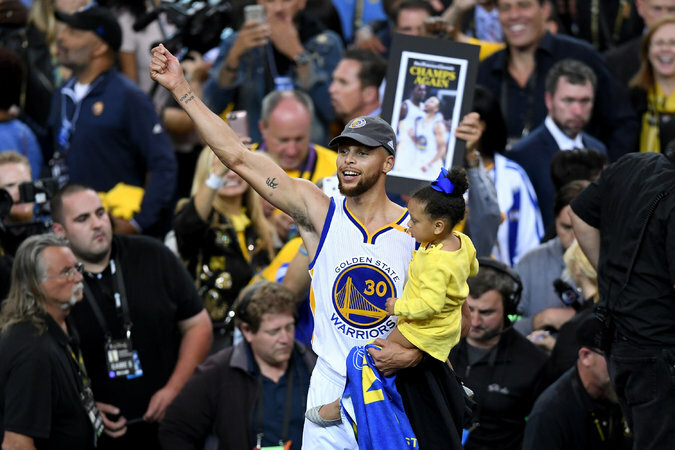 The Fans loved also Stephen Curry and Kyrie Irving rivalry. They were defending each other down the stretch in the final minutes of the 4th quarter. Kyrie Irving ended up with 26 points with 6 assists. Meanwhile 2X NBA MVP Stephen Curry added up the score sheet with 34 points, 10 assists and, 6 rebounds. Draymond Green made a big impact on the court today setting up screens for his teammates to score baskets into the paint. Draymond Green finished with 10 points, 5 assists and, 12 rebounds. 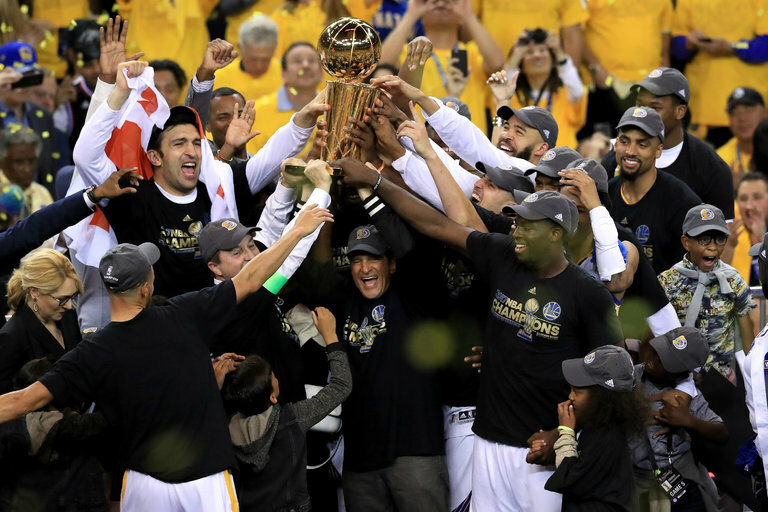 The Golden State Warriors finally brought back the Golden Ball trophy to the bay area. Their 2nd championship and 3 years. They had their revenge from last’s year 3-1 comeback by the Cavaliers. Kevin Durant was named the 2017 NBA Finals MVP. 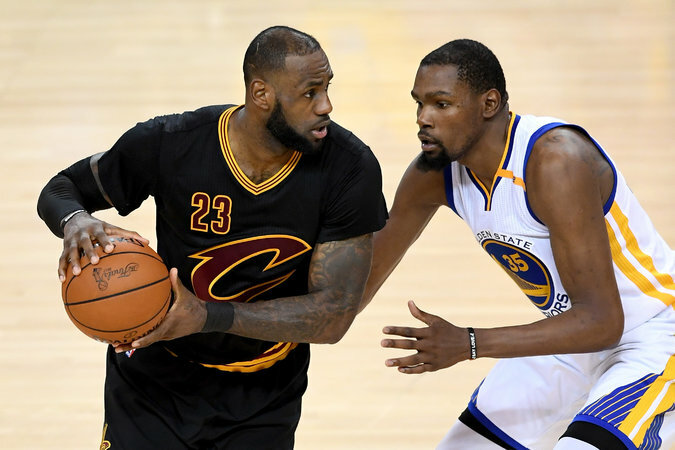 Durant was dominant over the five games of this series, scoring at least 30 points in every single game, averaging 35.2 points, 8.4 rebounds, 5.4 assists, and 1.6 blocks in the NBA Finals. Have you ever considered publishing an ebook or guest authoring on other blogs? I have a blog centered on the same topics you discuss and would really like to have you share some stories/information. I know my subscribers would value your work. If you are even remotely interested, feel free to shoot me an e mail.